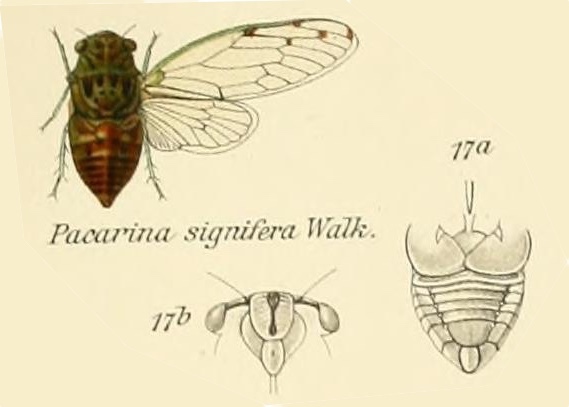 Diceroprocta biconica (Walker, 1850) was formerly known as Rihana biconica. The Rihana genus no longer exists. 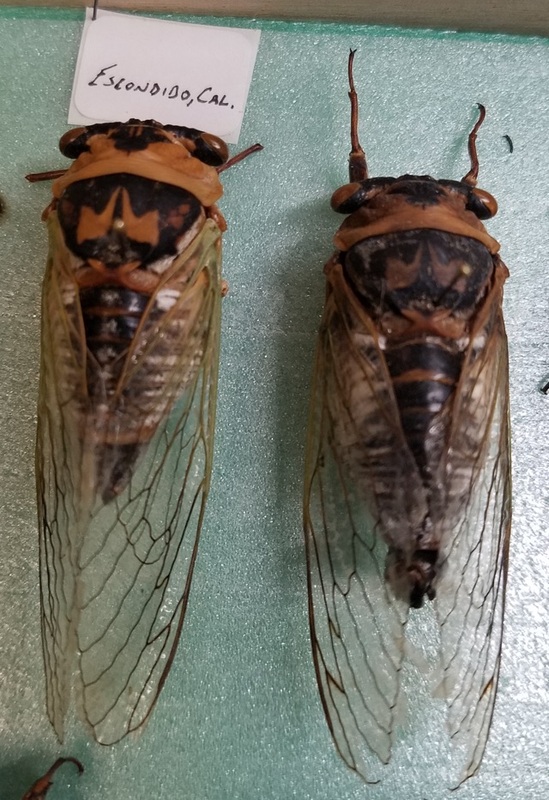 It is found in Cuba and Florida in the U.S. Listen to its song. 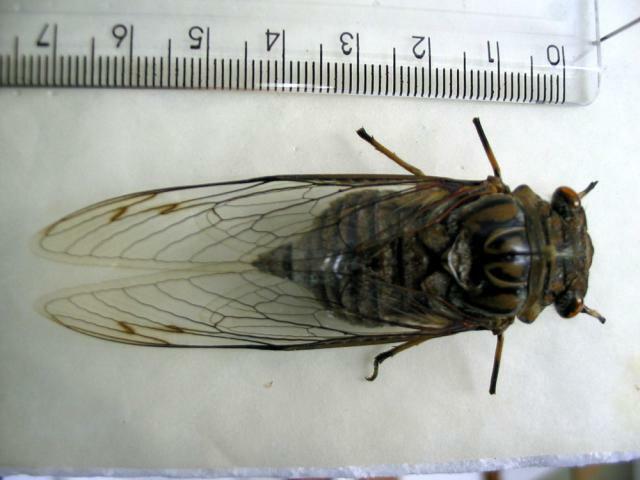 The image says Rihana biconica, but the newest name of this cicada is Diceroprocta biconica. Characters. — Flead distinctly longer than half the breadth between eyes, and including eyes wider than base of mesonotum ; face more or less prominent, its lateral margins in line with lateral margins of vertex; eyes oblique, longer than broad; pronotum a little narrowed behind eyes, about or almost as long as mesonotum in front of cruciform elevation ; abdomen not, or scarcely, longer than length between apex of face and base of cruciform elevation ; other characters generally as in Cicada.